Sent from Alaska, right to you! Oomingmak is the Alaskan co-operative that has brought exquisite Qiviut items to you as a unique northern gift since 1969. It is owned by approximately 250 Native Alaskan women from remote coastal villages of Alaska who knit each item by hand. Each village has a signature pattern derived from traditional aspects of village life and the Eskimo culture; they may come from an ancient artifact or a beadwork design. 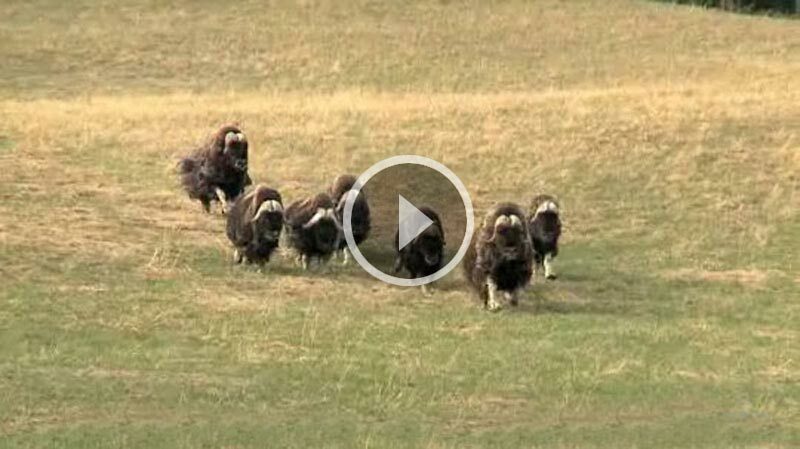 Qiviut (pronounced "kiv-ee-ute"), the downy-soft underwool from the Arctic musk ox, is shed naturally each year during the spring months. Eight times warmer than wool and extraordinarily lightweight, Qiviut is one of the finest natural fibers known to man. All of our items are 100% Qiviut and in the natural color. The caps and scarves made by the knitters are as comfortable to wear on cool days in a warm climate as they are in chilly weather. Unlike wool, Qiviut is not scratchy and will not shrink in any temperature of water. It can be hand-washed in any mild detergent and will last for many years.